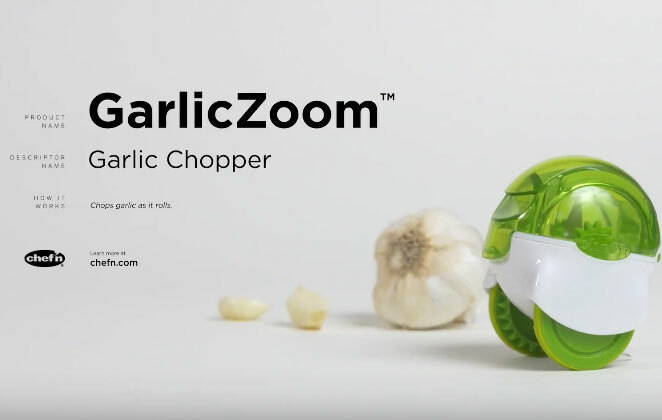 Meet the GarlicZoom Garlic Chopper: a handy tool that minces garlic cloves in seconds. Simply peel your cloves, put them inside the device and roll. 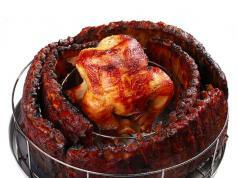 Garlic Zoom has rotating stainless steel blades to chop large batches of garlic in seconds. No need to get your hands too dirty. 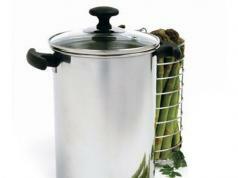 The device is made of plastic and stainless steel.